1 In a large bowl, mix together the baking soda, citric acid, and cornstarch, and divide into two equal parts. 2 Separately, combine the oil and fragrance, and divide into two equal parts, coloring half orange and leave the other half uncolored. 3 Add the oil mixtures to each batch of dry ingredients and combine. 4 Mix each batch separately with your hands until each mixture becomes the consistency of wet sand. Wash and dry your hands between each mixing segment. (If you don’t like to get your hands messy, you can wear rubber gloves for this part.) The more vigorous your mixing style, the better the ingredients will be distributed, so don’t be shy. Five minutes of stirring, compressing, and kneading should do the trick. 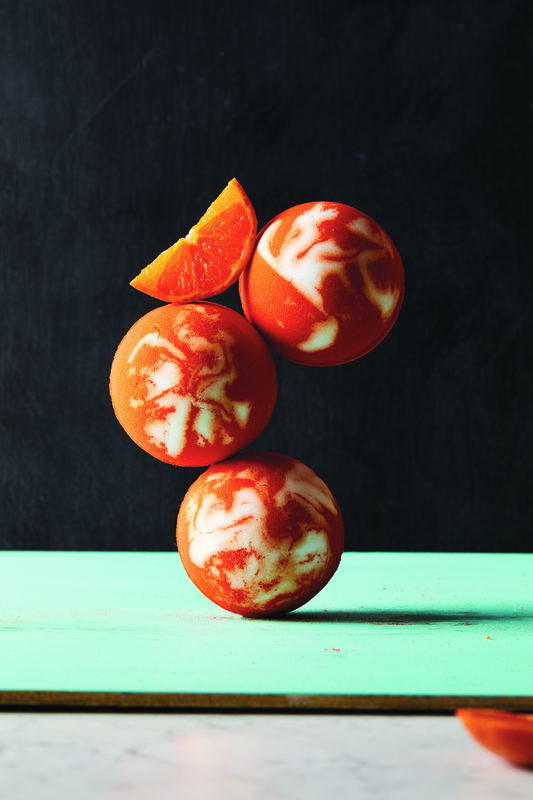 5 As you press the mixture into the molds, gently swirl the orange and white mixes together with a spoon handle. 6 Press the mold halves together and let the bombs dry for 24–48 hours. 7 Once they are completely dry, remove them carefully from the molds. If you only have one mold, you can also gently remove the bombs as you make them and lay them out to dry on a flat surface. Try not to touch them until they harden. 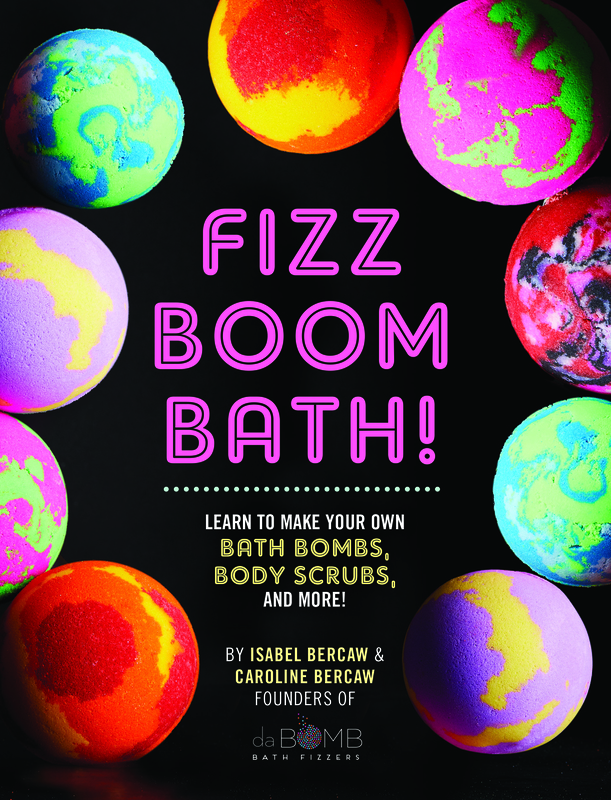 This entry was posted in Book supplied by publisher or author for review, Non fiction, Recipes and tagged bath bombs, gift ideas, home made. Bookmark the permalink.